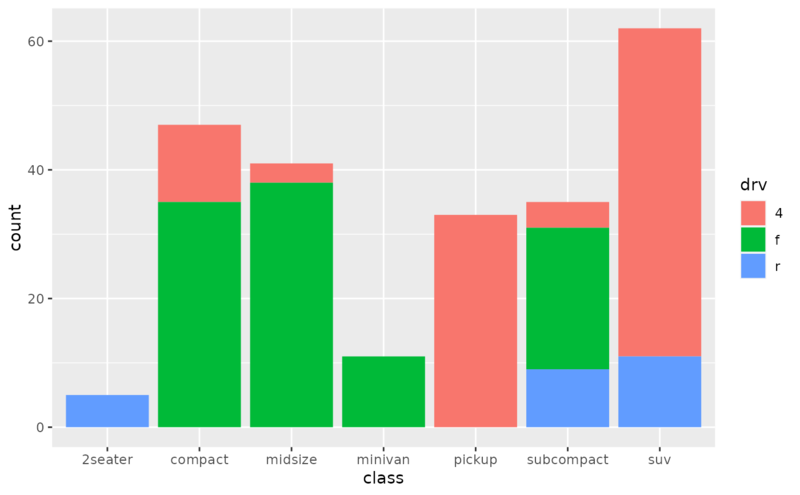 There are two types of bar charts: geom_bar() and geom_col(). 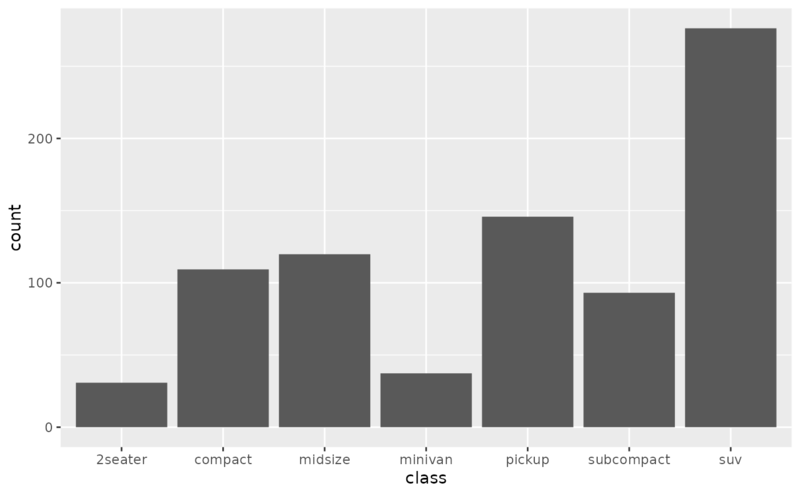 geom_bar() makes the height of the bar proportional to the number of cases in each group (or if the weight aesthetic is supplied, the sum of the weights). 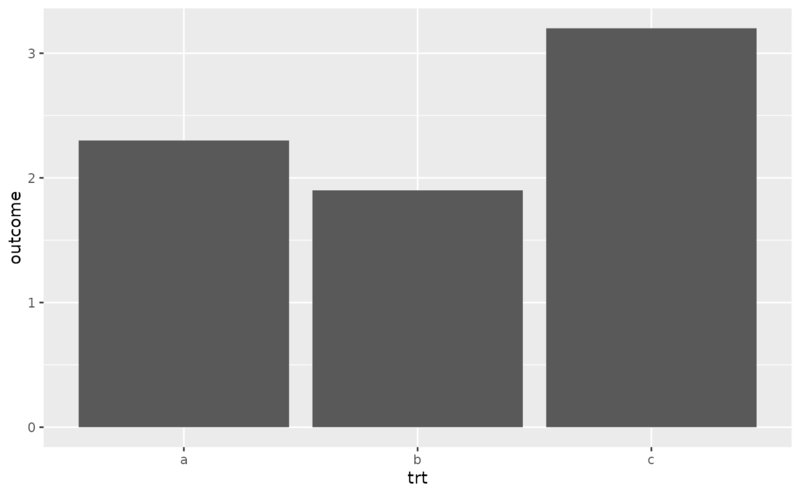 If you want the heights of the bars to represent values in the data, use geom_col() instead. 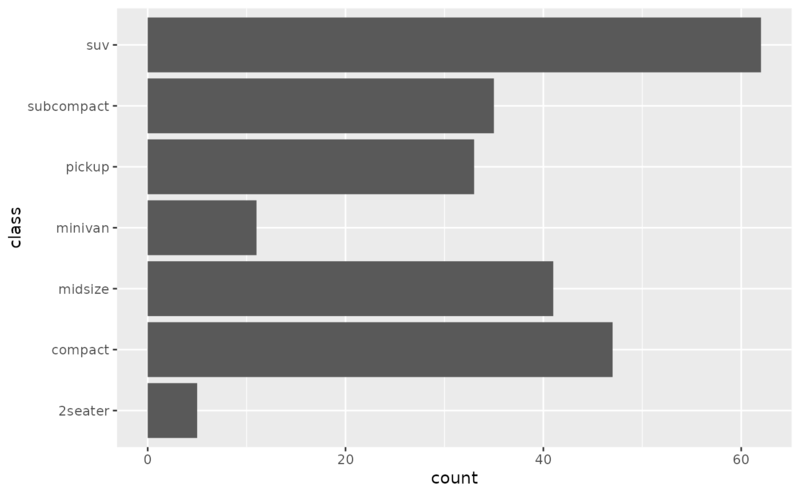 geom_bar() uses stat_count() by default: it counts the number of cases at each x position. 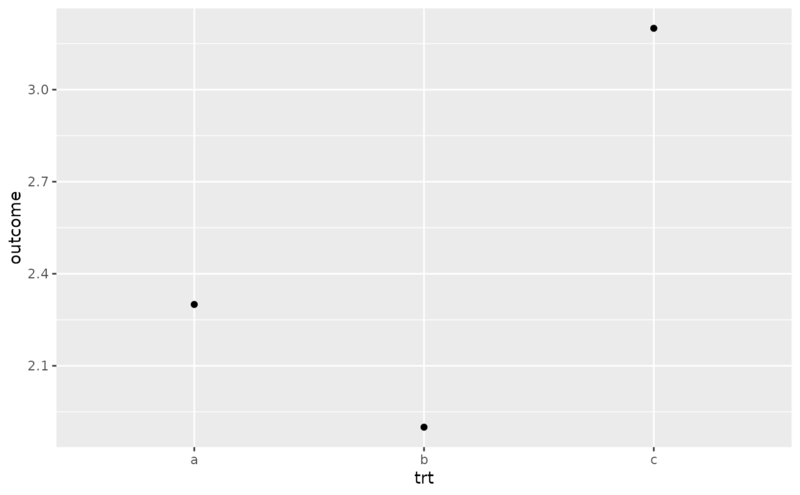 geom_col() uses stat_identity(): it leaves the data as is. Bar width. By default, set to 90% of the resolution of the data. geom_bar() no longer has a binwidth argument - if you use it you'll get an warning telling to you use geom_histogram() instead. Override the default connection between geom_bar() and stat_count(). A bar chart uses height to represent a value, and so the base of the bar must always be shown to produce a valid visual comparison. This is why it doesn't make sense to use a log-scaled y axis with a bar chart. 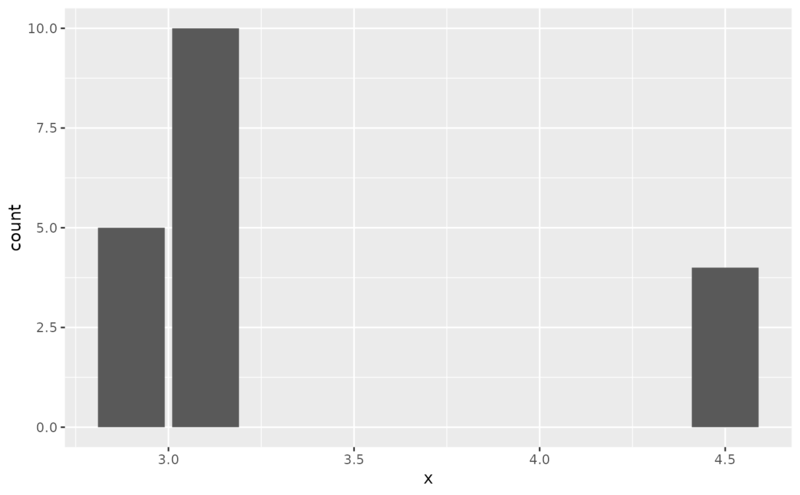 By default, multiple bars occupying the same x position will be stacked atop one another by position_stack(). If you want them to be dodged side-to-side, use position_dodge() or position_dodge2(). Finally, position_fill() shows relative proportions at each x by stacking the bars and then standardising each bar to have the same height. 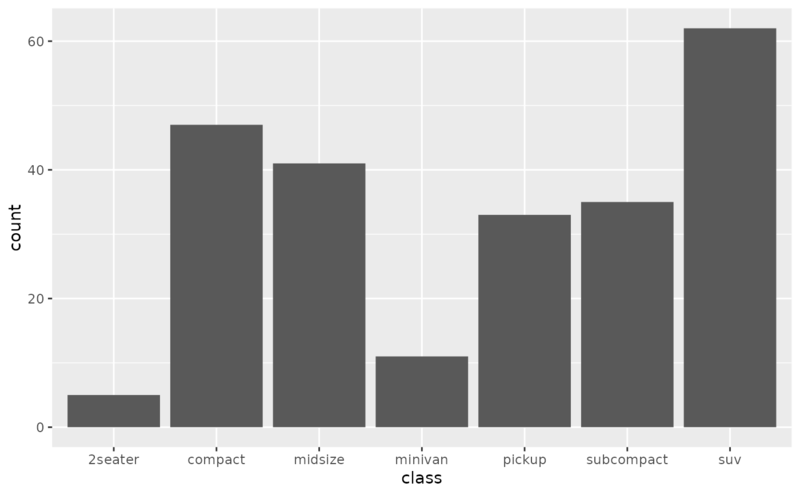 geom_histogram() for continuous data, position_dodge() and position_dodge2() for creating side-by-side bar charts. stat_bin(), which bins data in ranges and counts the cases in each range. 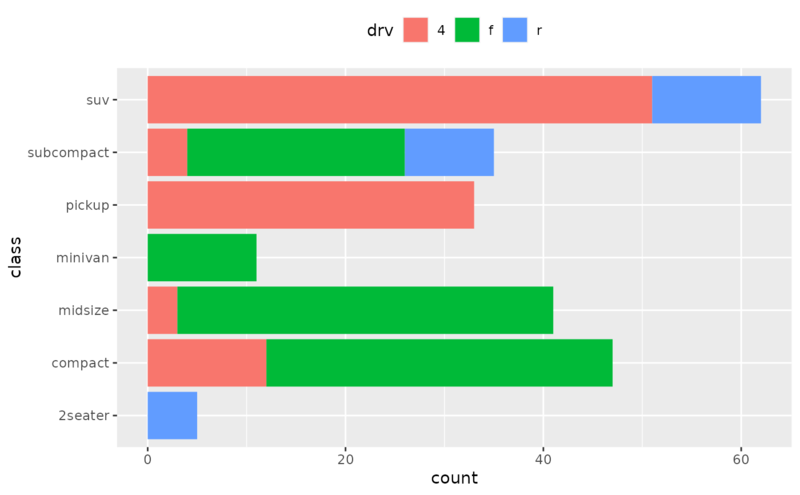 It differs from stat_count, which counts the number of cases at each x position (without binning into ranges). stat_bin() requires continuous x data, whereas stat_count can be used for both discrete and continuous x data. # require the y-axis to touch zero.